Wfm is committed to providing our clients with a traditional and professional block management service. Please remember, you are speaking to a real person in a local office, just like in the old days ! WFM have been based in Southport since 2008 offering a personal experienced approach to residential Leasehold flat block management, covering north Merseyside, west Lancashire and the Wirral. 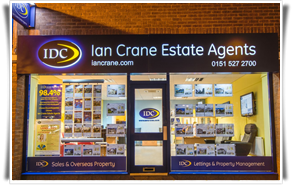 Maghull's most experienced independent Estate Agent. Antony Hill Group is one of Southport's leading property practices.